If a literal reading of 28 U.S.C. 1441 (the forum defendant rule) would lead to an absurd result, then it should not be interpreted that way, according to a recent decision of Judge Morgan of the Norfolk Division of the Eastern District of Virginia. 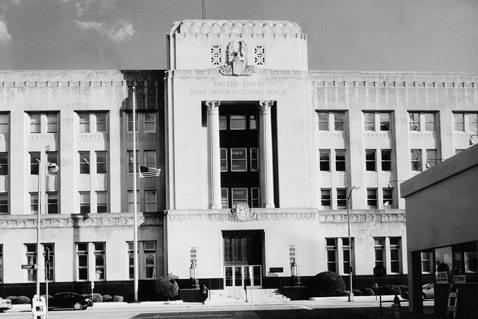 Eddie Campbell sued his former employer, Hampton Roads Bankshares, Inc., and related entities in the Circuit Court for the City of Norfolk for breach of contract. Mr. Campbell is a citizen of North Carolina. The bank defendants, who are citizens of Virginia, removed the action to federal court prior to being served with process. Mr. Campbell moved to remand the case back to Norfolk state court, and the court granted the motion. Federal law permits a defendant to remove a state court action to federal court only if the plaintiff could have originally filed that action in federal court. The defendants claimed federal jurisdiction was proper because the case raised a federal question under 18 U.S.C. § 1331 and claimed diversity jurisdiction under 18 U.S.C. § 1332. Federal question jurisdiction applies to “all civil actions arising under the Constitution, laws, or treaties of the United States.” Courts look to the well pleaded complaint to see if it presents a federal question. Even where a federal cause of action isn’t expressly pled, a federal question exists if federal law creates the cause of action or the plaintiff’s right to relief depends on the resolution of a substantial question of federal law. The defendants argued that federal “golden parachute rules” prohibited paying Campbell the severance package at the heart of Campbell’s claim. But Campbell had pled a state law breach of contract claim. The defendants’ argument centered on a defense they would assert. A defense cannot be a basis for removal. The defendants are citizens of the State in which the action was brought. But they argued that, technically, they hadn’t been served with the complaint and were not “properly joined and served” so the barrier to removal couldn’t apply. Campbell argued that, though this was the literal reading of the statute, it would be absurd to allow forum defendants to remove an otherwise unremovable action to federal court solely because they hadn’t yet been served. Generally, courts adhere to a statute’s plain unambiguous language. Some courts have read the statute literally, only prohibiting removal where at least one party in interest, properly joined and served as a defendant, is a citizen of the forum state. These cases are not remanded if the forum defendant hasn’t been served. But some courts hold that, where strict adherence to a literal reading would create an absurd result that is “so gross as to shock the general common sense,” allowing removal runs counter to the purpose and intent behind § 1441(b)(2) and the cases should be remanded. Judge Morgan found it would be an absurd result if a forum defendant could seek federal jurisdiction through removal while, at the same time, arguing that it can’t be barred from removal because it hadn’t been served so it wasn’t a proper party to the action. He construed “served” to mean “actual notice and involvement in the case,” and found these defendants had been served in that sense of the word. They obviously knew about the case and had become involved by seeking removal. Because the defendants were citizens of Virginia, removal was improper, so the court remanded the case.